Our first exported donkey! What a nice beginning! We represent our donkeys honestly and guarantee them. 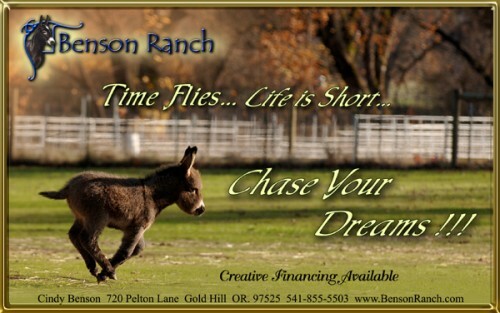 We will assist you in finding the donkey of your dreams and network with other breeders as needed. We will provide endless coaching and information. We look forward to a long term relationship with our buyers and their satisfaction is of the utmost importance. I have created the “Donkeys” area in this web site in such a way that it can be used as a research tool if so desired. Our breeding program is based around our jacks. If you are considering purchasing one of our foals it is possible to go to the jack’s page of the foal you are looking at to see many of his previous offspring. If you go to the dam’s page you can do the same thing. 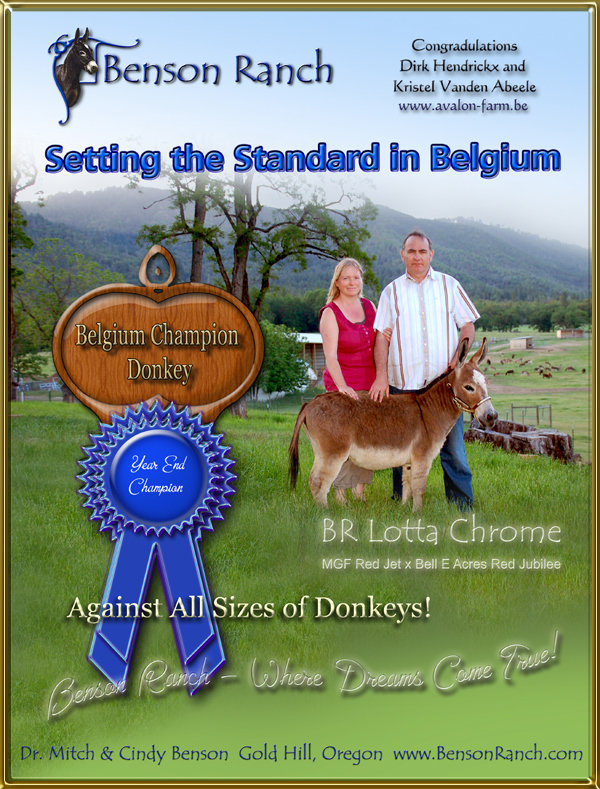 We use high quality photos and lots of information when we present our donkeys so you can really get a feel for them and how they might fit into your own program. Each of our herd sires has a “look” and you will see that mark in his foals. If that look appeals to you, and if you breed his foals correctly, you should be able to produce that look and quality within your own herd because of his consistency. On our web site you can see several generations produced by our jack lines and that presents quite an advantage when you are trying to predict what his foals will do for you. You can spend a lot of time on this web site…….have fun!